No one ever lost money betting on the Pentagon refraining from exceptionalist rhetoric. Once again the current Pentagon supremo, certified neocon Ash Carter, did not disappoint at the Shangri-La Dialogue – the annual, must-go regional security forum in Singapore attended by top defense ministers, scholars and business executives from across Asia. Context is key. The Shangri-La Dialogue is organized by the London-based International Institute for Strategic Studies (IISS), which is essentially a pro-Anglo-American think tank. And it takes place in the privileged aircraft carrier of imperial geostrategic interests in South East Asia: Singapore. As expressed by neocon Carter, Pentagon rhetoric – faithful to its own estimation of China as the second biggest “existential threat” to the US (Russia is first) – revolves around the same themes; US military might and superiority is bound to last forever; we are the “main underwriter of Asian security” for, well, forever; and China better behave in the South China Sea – or else. This is all embedded in the much ballyhooed but so far anemic “pivoting to Asia” advanced by the lame duck Obama administration – but bound to go on overdrive in the event Hillary Clinton becomes the next tenant of 1600 Pennsylvania Avenue. What’s left for China, in Pentagonese, is just to be a member of a hazy “principled security network” for Asia – which will also help protect the East against “Russia’s worrying actions”. Carter mentioned "principled" no less than 37 times in his speech. “Principled” cheerleaders so far include Japan, India, the Philippines, Vietnam and Australia. So here’s an instant translation: we do a NATO in Asia; we control it; you will answer to us; and then we encircle you – and Russia - for good. If China says no, that’s simple. 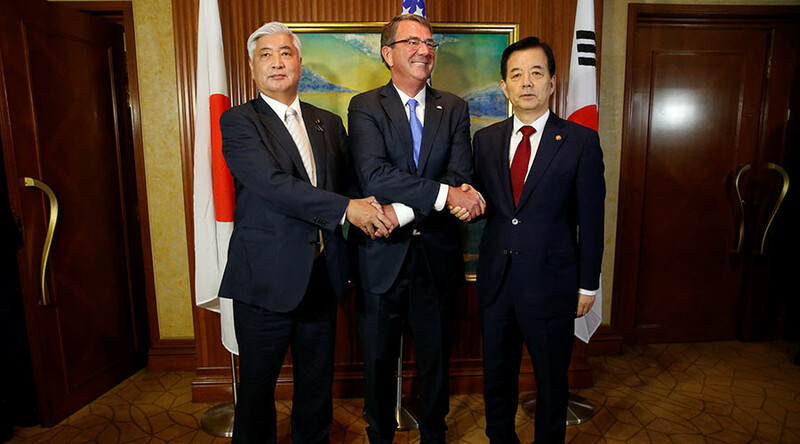 Carter proclaimed Beijing will erect a "Great Wall of self-isolation" in the South China Sea. If this is the best Pentagon planners have to counteract the Russia-China strategic partnership, they’d better go back to the classroom. In elementary school. Predictably, the South China Sea was quite big at Shangri-La. The South China Sea, the throughway of trillions of US dollars in annual trade, doubles as home to a wealth of unexplored oil and gas. Stagnated and increasingly irrelevant Japan, via its Defense Minister Gen. Nakatani, even advanced the Japanese would help Southeast Asian nations build their “security capabilities” to deal with what he called “unilateral” and “coercive” Chinese actions in the South China Sea. Cynics could not help to draw similarities with Imperial Japan’s Greater East Asia Co-Prosperity Sphere. The Beijing delegation kept its cool – to a point. 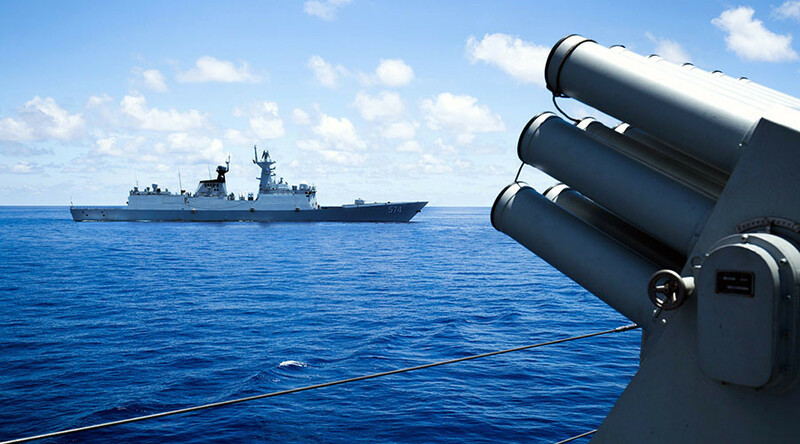 Rear Admiral Guan Youfei stressed, “The US action to take sides is not agreed by many countries.” Youfei – the head of the Chinese office of international military cooperation - did not refrain though from condemning a “Cold War mentality” by the usual suspects. As for Japan, China’s Foreign Ministry detailed that “countries outside the region should stick to their promises and not make thoughtless remarks about issues of territorial sovereignty.” Japan has absolutely nothing to do with the South China Sea. 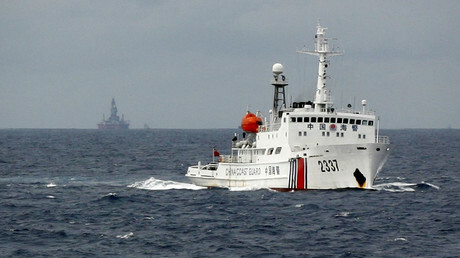 Beijing’s reclamation work on reefs in the South China Sea naturally put it in direct conflict with Vietnam, the Philippines, Malaysia and Brunei. So US meddling – under the convenient cover of “freedom of navigation” – had to be inevitable. “Freedom of navigation” operations are a silly intimidation game in which a US Navy ship or plane passes by a Chinese-claimed island in the South China Sea. 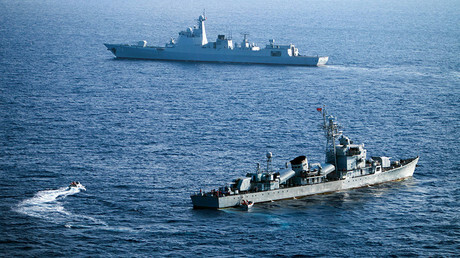 It was up to Admiral Sun Jianguo, Deputy Chief of the Joint Staff Department of China's Central Military Commission, to cut to the chase, stressing "the provocation of certain countries" and adding that "selfish interests" have led to the South China Sea issue becoming "overheated". He slammed the Pentagon for double standards and “irresponsible behavior”. And he slammed the Philippines for taking the conflict to a dubious UN arbitration court after breaching a bilateral agreement with China; "We do not make trouble but we have no fear of trouble." The Chinese position prefers dialogue and cooperation – and Jianguo re-stressed it, calling for ASEAN to make a move. In fact China has already reached what is called a four-point consensus with Brunei, Cambodia and Laos on the South China Sea two months ago. The Philippines are a much harder nut to crack - as the Pentagon is taking no prisoners to lead Manila “from behind”. Even Vietnam, via Deputy Defense Minister Nguyen Chi Vinh, made it clear - in the same plenary session as Admiral Jianguo - that Vietnam prefers solutions via the UN Convention on the Law of the Sea as well as negotiation between China and ASEAN. After Shangri-La’s rhetorical excesses, the action moved to Beijing, the site of the 8th China-US Strategic and Development Dialogue. That’s the annual talkfest launched in 2009 by Obama and then Chinese President Hu Jintao. Chinese Vice Foreign Minister Zheng Zeguang painted a rosy picture, stressing the exchange of “candid, in-depth views on important and sensitive issues of shared concern.” Chinese Ambassador to the US Cui Tiankai once again needed to point out that the relationship is just "too important" to be "hijacked" by the South China Sea. And yet this is exactly the Pentagon’s agenda. Beijing though won’t be derailed. As State Councilor Yang Jiechi put it, ASEAN-China dialogue is progressing via what Beijing calls the “dual-track” approach, according to which disputes are negotiated between the parties directly involved. That implies no Washington interference. Beyond what is discussed either at Shangri-La or at the China-US dialogue, the Big Picture is clear. 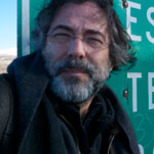 ‘Exceptionalistan’ planners have molded a narrative where China is being forced to make a choice; either you bend over to “our” rules – as in the current unipolar geostrategic game – or else. Well, Beijing has already made its own choice; and that entails a multipolar world of sovereign nations with no primus inter pares. The Beijing leadership under Xi Jinping clearly sees how the so-called international “order”, actually disorder, is a rigged system set up at the end of WWII. Wily Chinese diplomacy – and trade - knows how to use the system to advance Chinese national interests. That’s how modern China became the “savior” of global turbo-capitalism. But that does not mean a resurgent China will forever comply with these extraneous “rules” – not to mention the morality lessons. Beijing knows ‘Exceptionalistan’ would not agree even to divide the spoils in a geopolitical spheres-of-influence arrangement. Plan A in Washington is containment – with possibly dangerous ramifications. There is no Plan B. The bottom line – thinly disguised by the somewhat polite responses to Pentagon threats - is that Beijing simply won’t accept anymore a geopolitical disorder that it did not create. The Chinese could not give a damn to the New World Order (NWO) dreamed up by selected ‘Masters of the Universe’. Beijing is engaged in building a new, multipolar order. No wonder – alongside with strategic partner Russia – they are and will continue to be the Pentagon’s top twin threat.